In celebration of MadeByLinLin's Grand Re-Opening we are hosting a give away! 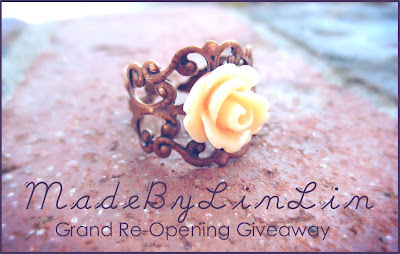 Enter to WIN a Apricot Rose Filigree Ring. This ring is fully adjustable to fit a variety of sizes!